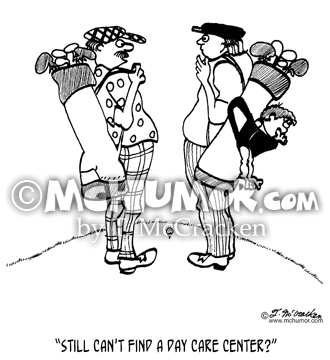 Golf Cartoon 2814: A man has a baby in his golf club bag. 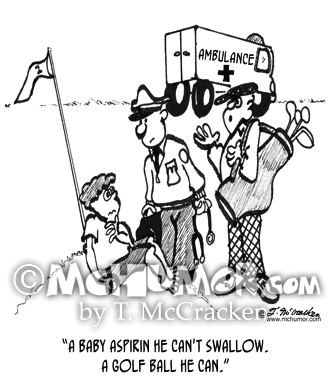 Someone asks him, "Still can't find a day care center?" 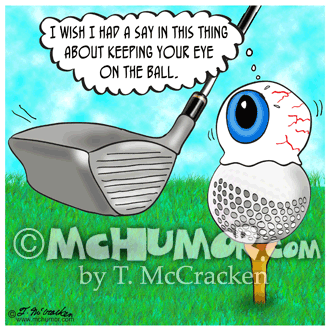 Golf Cartoon 9149: As a golf club is about to hit a ball with a huge eyeball in it thinks, "I wish I had a say in this thing about keeping your eye on the ball." 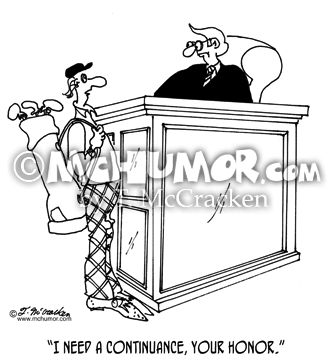 Golf Cartoon 5491: A lawyer with golf clubs saying to a judge, "I need a continuance, your Honor." 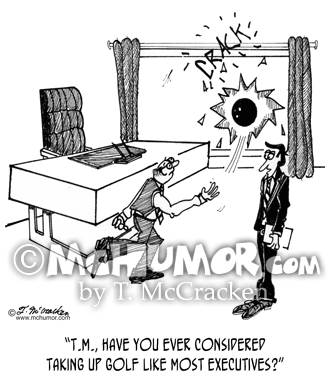 Bowling Cartoon 1918: A man accidentally throwing a bowling ball through his office window. 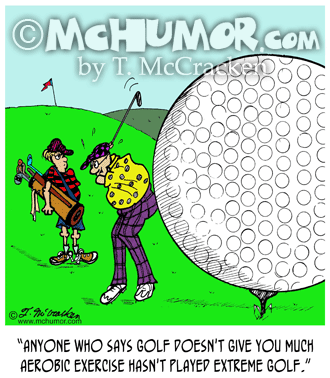 A friend says to him, "T.M., have you ever considered taking up golf like most executives?" 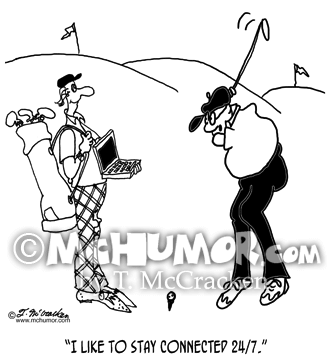 Golf Cartoon 8335: A golfer says to a caddy holding a laptop computer, "I like to stay connected 24/7." 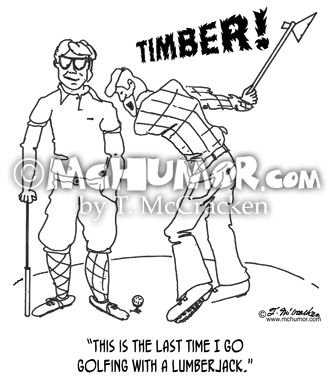 Golf Cartoon 0299: As a lumberjack swings an axe and shouts "TIMBER" a golfer says, "This is the last time I go golfing with a lumberjack." 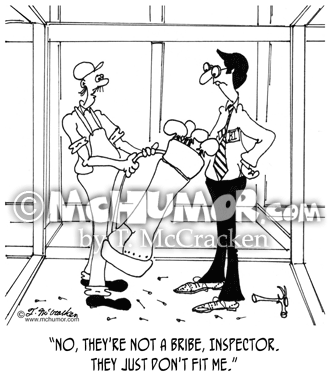 Bribe Cartoon 6371: A contractor handing a building inspector a bag of golf clubs says, "No, they're not a bribe, Inspector. They just don't fit me." 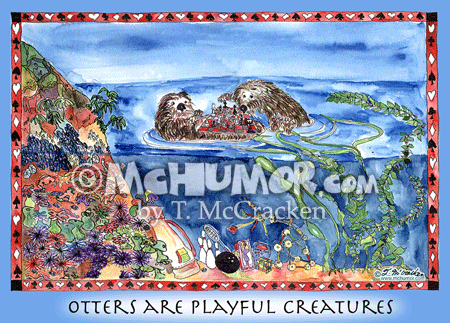 Otter Cartoon 8010H: "Otters are Playful Creatures." Otters play chess and have all sorts of other toys.